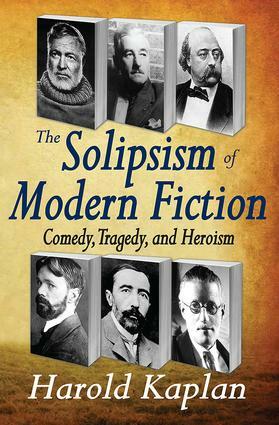 In 'The Solipsism of Modern Fiction', Harold Kaplan deals with the problem of action and its adequate motive in the modern novel. In the nineteenth and twentieth centuries modern scientific knowledge abandoned the human-centred view of the universe and thus the fictional modes that had been rooted in religion or myth. The result for fiction was a radical skepticism on the part of the protagonist who now appeared as a reflective, self-critical, passive figure lacking the dynamism of the epic hero or religious seeker. One response to the scientific worldview was the naturalism of Zola and his followers in which the action of characters is determined by social or biological forces. Kaplan, however, focuses his study on such novelists as Flaubert, Joyce, Conrad, Faulkner, Lawrence, and Hemingway who dramatised the isolated individual consciousness in contention with the world and with the ambiguity of their own motivations. 'The Solipsism of Modern Fiction' deals with several related topics that grow from one source, the crisis of knowledge in modern intellectual history. The effects of solipsism and of moral passivity, the split consciousness that divides action and understanding, the perspectives of primitive naturalism and stoic naturalism, the variations of the comic mood, and the example of tragedy, are all themes that are dramatised in Kaplan's readings of 'Madame Bovary', 'Light in August', 'Ulysses', 'Lord Jim', and other exemplary modern novels that associate themselves with the problem of self-criticism, knowing, and acting. Written by one of the outstanding literary scholars of our time, this book will inspire new generations of readers and writers.